The 7844 Stationary Living Room Group by Craftmaster at VanDrie Home Furnishings in the Cadillac, Traverse City, Big Rapids, Houghton Lake and Northern Michigan area. Product availability may vary. Contact us for the most current availability on this product. 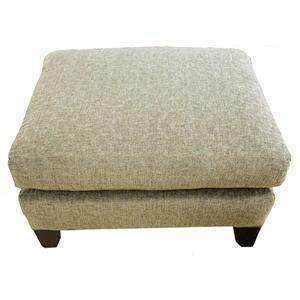 Leg or Skirt Wood legs are built into frame for strength and durability. Arm Type Flared arms create a stylish and contemporary look. The 7844 Group will bring a contemporary appeal to your home. 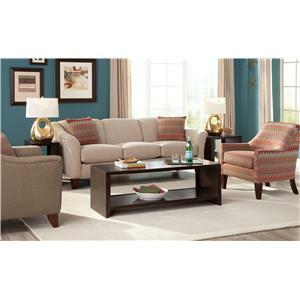 It features flared arms, attached seat backs, tapered wood feet and accent pillows. 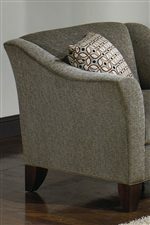 Create the look you want for your home by choosing from a variety of fabrics to create that custom look for your home. 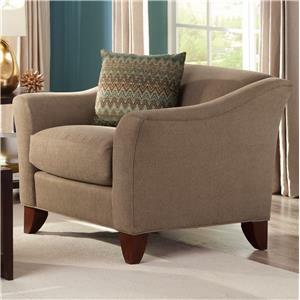 Sit back and relax in the comfort and style from the 7844 Upholstered Group. The 7844 collection is a great option if you are looking for Contemporary furniture in the Cadillac, Traverse City, Big Rapids, Houghton Lake and Northern Michigan area. 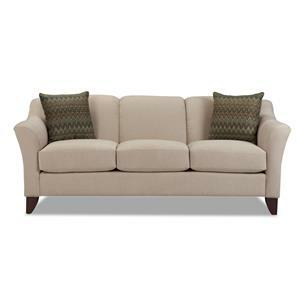 Browse other items in the 7844 collection from VanDrie Home Furnishings in the Cadillac, Traverse City, Big Rapids, Houghton Lake and Northern Michigan area.